James Bond made his first on-camera appearance just one year after the publication of the first Ian Fleming novel. But he wasn’t played by Sean Connery, and he wasn’t in theaters. 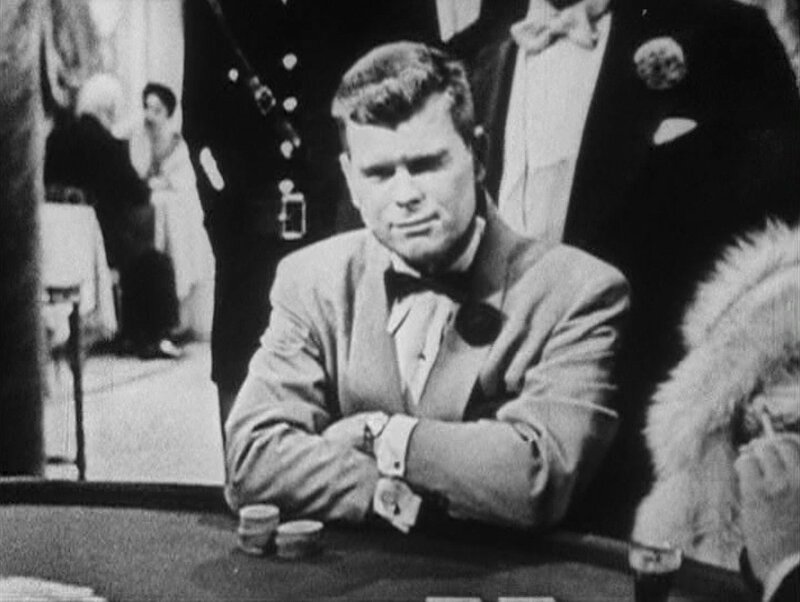 Heck, he was actually an American, “Jimmy Bond,” played by Barry Nelson, an actor otherwise most famous for his supporting role in Stanley Kubrick’s The Shining. This short adaptation of Casino Royale plays fast and loose with the character, and Nelson is hardly the most memorable actor to have played Bond, but Peter Lorre does give an excellent performance as the villain Le Chiffre. 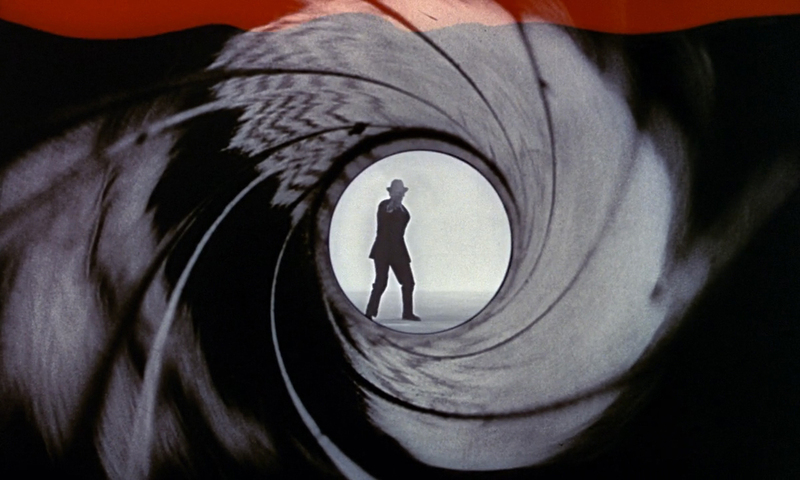 One of the most iconic openings in movie history is this shot of James Bond walking into frame and shooting at the camera. 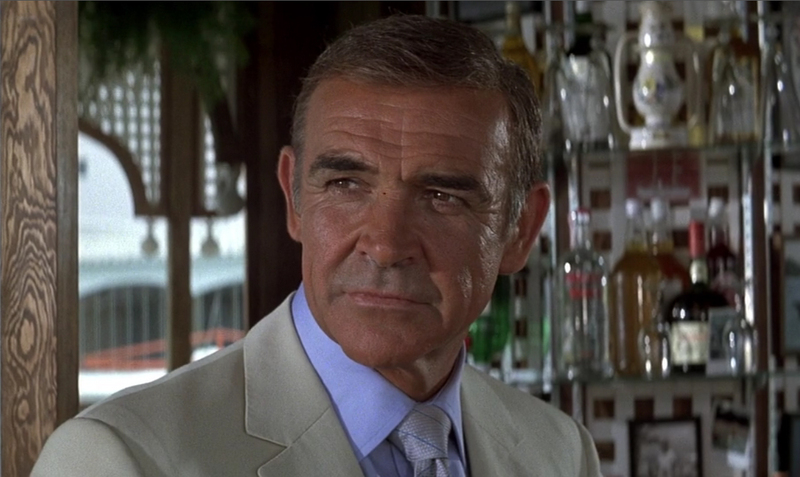 But did you know that the actor in this opening wasn’t Sean Connery, who played Bond throughout the rest of the film? For the first three films in the official James Bond series the actor at the beginning is actually professional stuntman Bob Simmons, who worked on almost every one of the Bond movies until his death in 1987. He also played SPECTRE agent Jacques Bouvar in Thunderball, making him the only actor to have played both James Bond and a James Bond villain. He may not technically have been the first James Bond, but he’s the icon anyway. 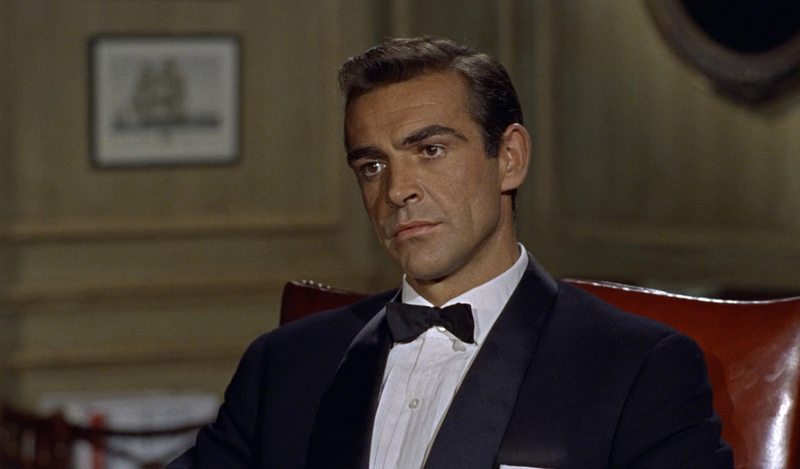 The first official James Bond movie, Dr. No, was Sean Connery’s breakout film after years of smaller roles. (His biggest part before this: the Disney fantasy Darby O’Gill and the Little People.) He smoldered, and quickly became one of the biggest stars in the world, but he wasn’t the first choice to play Bond. Some of the other actors who were reportedly considered include Cary Grant, Patrick McGoohan, and two actors who would go on to play James Bond in the future: David Niven and Roger Moore. The 1967 farce Casino Royale, based extremely loosely on Fleming’s original novel, is an rather silly film. 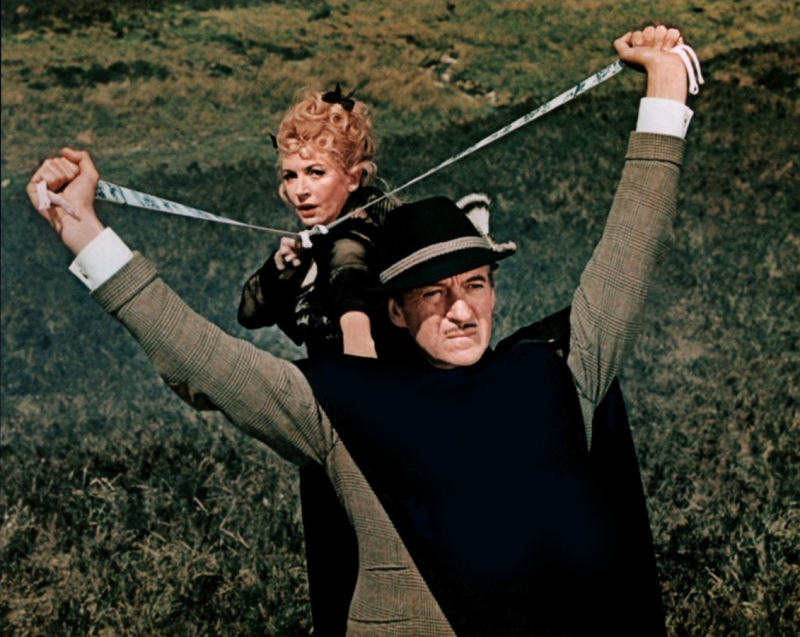 David Niven plays James Bond, who is forced out of retirement to take down his arch-nemesis SMERSH once and for all. 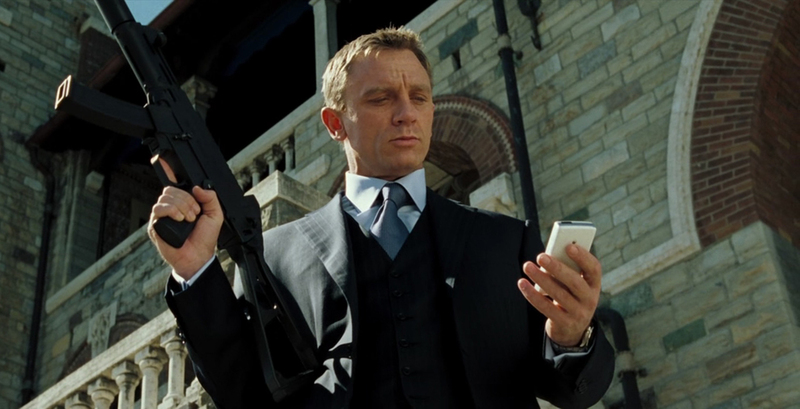 The tag line for the film was “Casino Royale is too much… for one James Bond!” and the filmmakers followed up on this promise by having multiple agents operating under the code name “James Bond,” in an attempt to confuse the enemy. 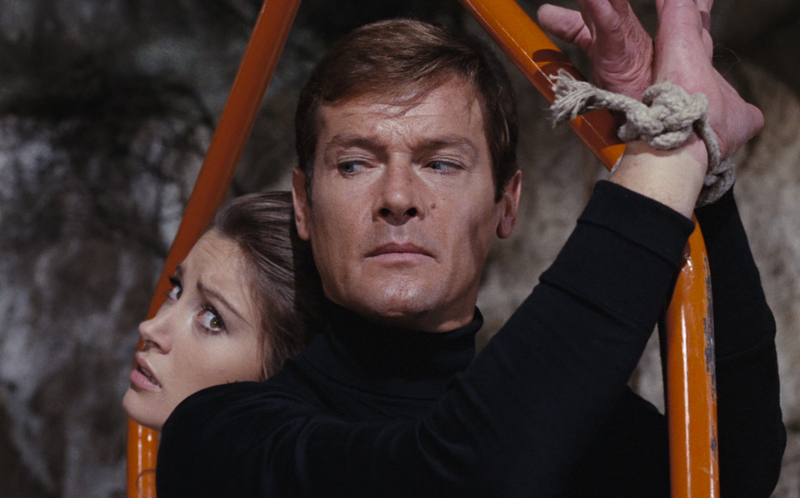 Niven is the only true Bond in Casino Royale, but the other faux-Bonds are played by Peter Sellers, Barbara Bouchet, Joanna Pettet, Terence Cooper, Daliah Lavi and former “Bond Girl” Ursula Andress. Adding to the confusion is Woody Allen, playing James Bond’s nephew "Jimmy" Bond. When Sean Connery departed the James Bond franchise after five films, the producers sought far and wide for a suitable replacement, eventually deciding on Australian actor and model George Lazenby. (Perhaps the most notable actor reportedly up for the part was John Richardson, star of One Million Years B.C.) 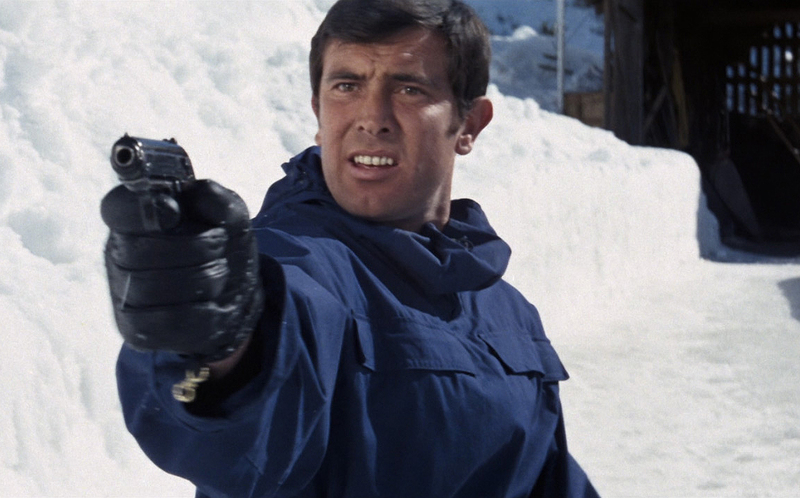 The film, 1969’s On Her Majesty’s Secret Service, is considered one of the best Bond movies but Lazenby himself didn't become an icon like his predecessor. Lazenby was under contract for more Bond movies but chose to depart the series after only a single film. 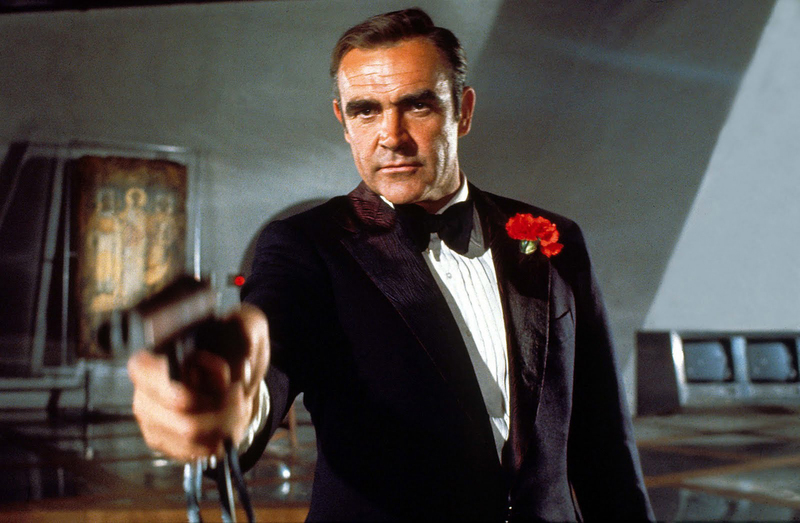 Sean Connery returned for 1971’s Diamonds Are Forever, for a hefty $1.25 million paycheck and the studio backing for two films of his choice. (Only one of those films was made: Sidney Lumet’s The Offence.) Although the producers shelled out for Connery’s hefty paycheck, they did reportedly consider other actors, including Batman star Adam West and future Harry Potter star Michael Gambon. Diamonds Are Forever was a box office hit but Connery was through with the franchise. Again. For a while. Roger Moore was finally cast as James Bond, after reportedly being considered the first time around (and also playing Bond briefly on the sketch comedy show Mainly Millicent), but only after several major American stars were considered, including Clint Eastwood, Burt Reynolds, Robert Redford and Paul Newman. Roger Moore’s first Bond film, 1973’s Live and Let Die, was an enormous financial success that began the actor’s twelve-year tenure with the franchise. Moore made seven James Bond movies, concluding his run with 1985’s View to a Kill, at which time he was - and still is - the oldest actor to have played Bond. Roger Moore was 57 at the time. The title was appropriate: Never Say Never Again found Sean Connery once again returning to the role of James Bond, albeit for an independent production company which now owned the rights to Thunderball, the story on which Connery’s own 1965 hit was based. Unlike Roger Moore’s later James Bond films, which mostly tried to ignore the age of the lead actor, Never Say Never Again directly addressed the fact that James Bond was now in his 50s. The film was a financial success but was a one-off production, and Connery never ever returned to play the character again. Roger Moore’s retirement from the Bond franchise paved the way for a younger leading man, and because first-choice Pierce Brosnan was under contract with the hit TV series Remington Steele, the part went to Timothy Dalton. (Future Jurassic Park star Sam Neil also auditioned.) 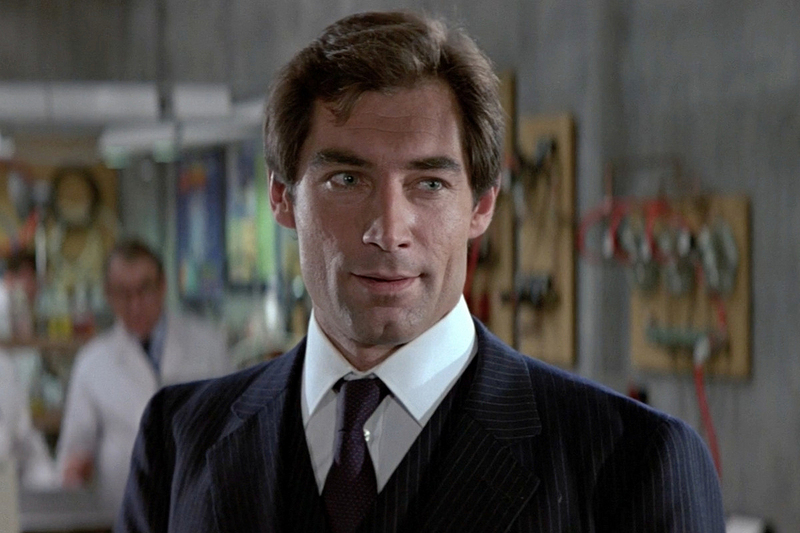 Dalton, who had turned down the role years prior, only had two outings as Bond: The Living Daylights (1987) and License to Kill (1989), the latter of which was the lowest grossing Bond film in America. It opened the same summer as Batman, Indiana Jones and the Last Crusade and Lethal Weapon 2, tough times, in all fairness. But the damage had been done and the Bond franchise took a six year hiatus. 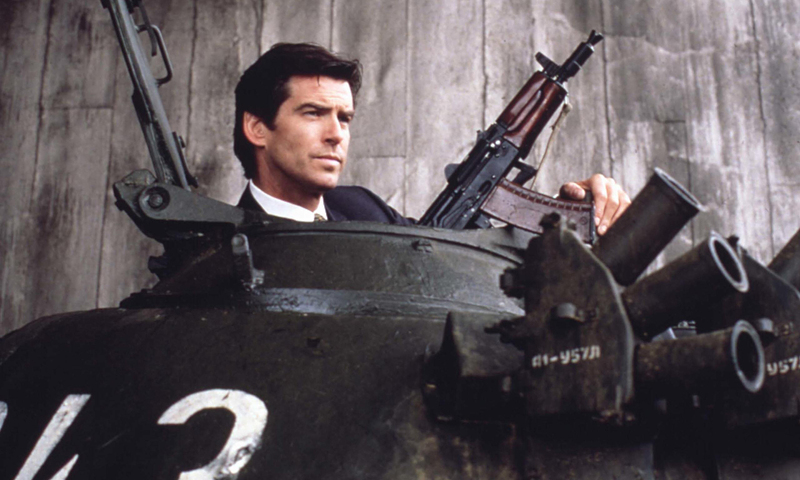 Pierce Brosnan, finally free of his TV obligations, took the role of James Bond for the 1995 blockbuster Goldeneye. (Although only after Liam Neeson and Mel Gibson reportedly passed.) It was the beginning of a renaissance for James Bond, with a dashing leading man and a string of hit movies that started out popular and acclaimed and got progressively sillier until 2002’s Die Another Day, typically considered one of the worst - if not THE worst - Bond movies ever made. 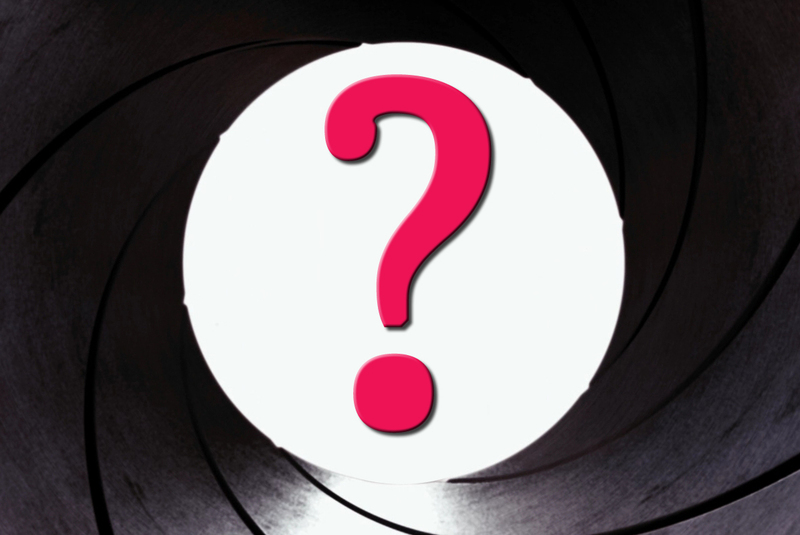 Wondering who the next James Bond will be is something of an international pastime. Audiences seem to take it for granted that the series will continue forever, and that any age-appropriate actor from the United Kingdom (or Australia) is always in contention to take over the role. Rumors have abounded that Luther star Idris Elba could take over the part (and become the first black James Bond in history), and hopeful speculation has also arisen about Thor star Tom Hiddleston and Oscar-nominee Michael Fassbender. But if history has taught us anything it’s that Bond stars can be turned down and then ultimately earn the role many years later… so maybe Henry Cavill still has a shot.